Winter happens to be the most popular time to make a trip to Mexico. There are several good reasons to tour this time when compared to other seasons. Although there may be better deals and fewer crowds at other times, still there are excellent reasons why winter is normally the most eventful time of the year. During the winter months, people from northern climates look for the sun and warmer weather that Mexico offers in winter. As a matter of fact, it is not consistently hot in Mexico and there can be some chilly temperatures in certain areas. For instance, Mexico City and San Cristobal de las Casas which are at higher altitudes can get pretty chilly in winter. This is mostly in the night and in the mornings. Beach destinations will generally be warm. There are some traditional Mexican festivals that take place in winter, making it a great time of the year to visit Mexico if you would like to experience some of them. There is almost no dull moment – beginning from the feast day of Our Lady of Guadalupe on December 12 to el dia de Reyes on January 6. During this time, you can have a chance not only to experience various Mexican Christmas traditions, but also sample some special Christmas foods. Celebrations continue even after those festivities are passed and you can join in the fun. It is not only humans who head south of the border in search of warmth and sun. Many migratory animal species also travel to Mexico for the same reasons. This makes winter the best time for wildlife observation. Whale watching expeditions are offered in Los Cabos from December 15 through March 15. These gigantic marine creatures can put on quite a show that is worth watching. So, in case you are planning your vacation during whale watching season, you can organize for a tour. Since winter is the busiest time of the year, it is wise to plan your winter vacation in advance. Although you can plan a last-minute gateway in the winter, it will be a bit difficult and you are likely to pay more. So it is better to make your hotel reservations a few months to your trip. Depending on the particular dates, you may find tourist sites and attractions rather packed. The most popular travel times are long weekends and school holidays. 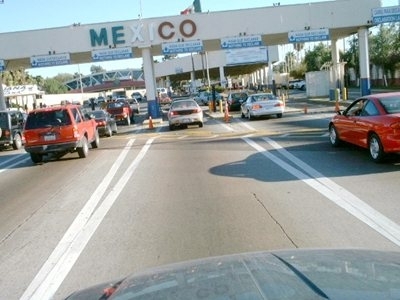 If you are driving your own car across the border from the U.S. or Canada into Mexico on a trip, purchasing a Mexican insurance policy to cover you in Mexico is mandatory. No matter how comprehensive your U.S. or Canadian auto insurance is, it won’t cover you for the period the vehicle is in Mexico since the Mexican law does not recognize it. You can purchase your Mexican auto insurance from this link. If you get involved in a serious car mishap in Mexico, where persons get injured or killed, the authorities will detain you until the blame is assessed. If it is believed that you are to blame, then you will be held for a longer time. Before they can sign the relevant papers to have you released from police custody, the other party/parties will have to be satisfied with any compensation that you are offering to them (or most probably your insurance company). Keep the love going by bringing various goodies to home from Mexico. Different goodies are enough to say you don’t forget your friends and loved ones. Obtain information about securing a Mexico insurance policy via your iPhone. It allows you to inquire about utilities, costs, and other important services. The bad consequence is serious if you don’t buy Mexican insurance and you want to drive. Taking risks is dangerous as well. Planning for a winter vacation? 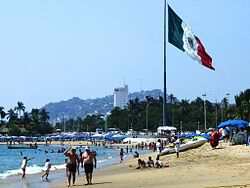 Purchase Mexican insurance quickly online. It’s done easily with Mexican Insurance Store.